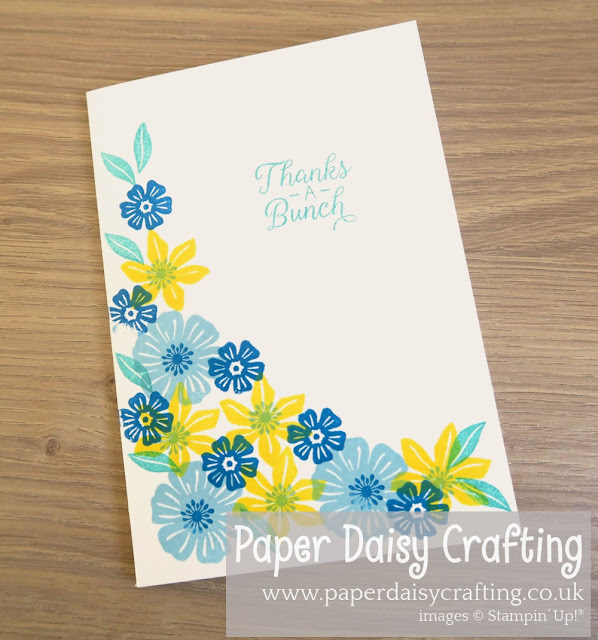 Paper Daisy Crafting: Beautiful Bouquet Beginner card in more colourways! 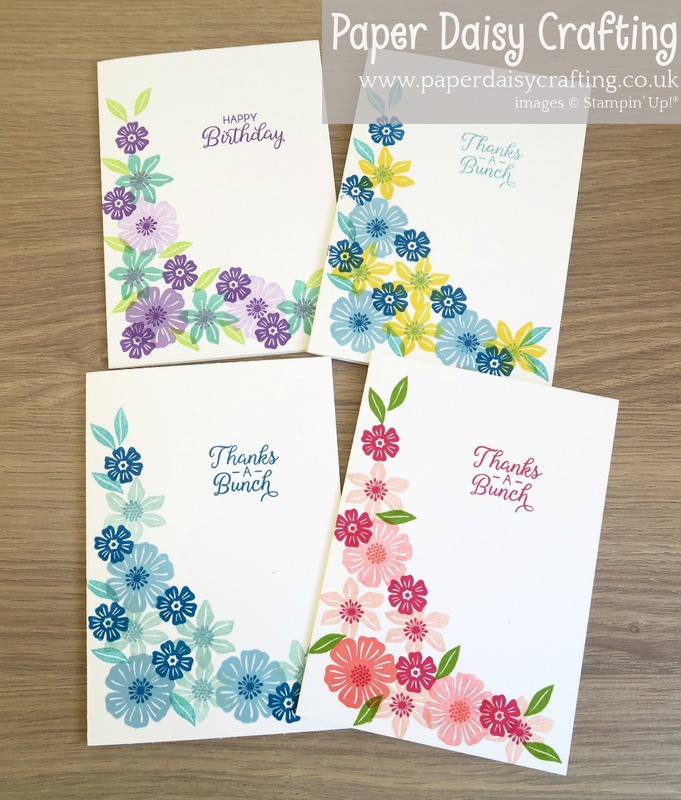 Beautiful Bouquet Beginner card in more colourways! 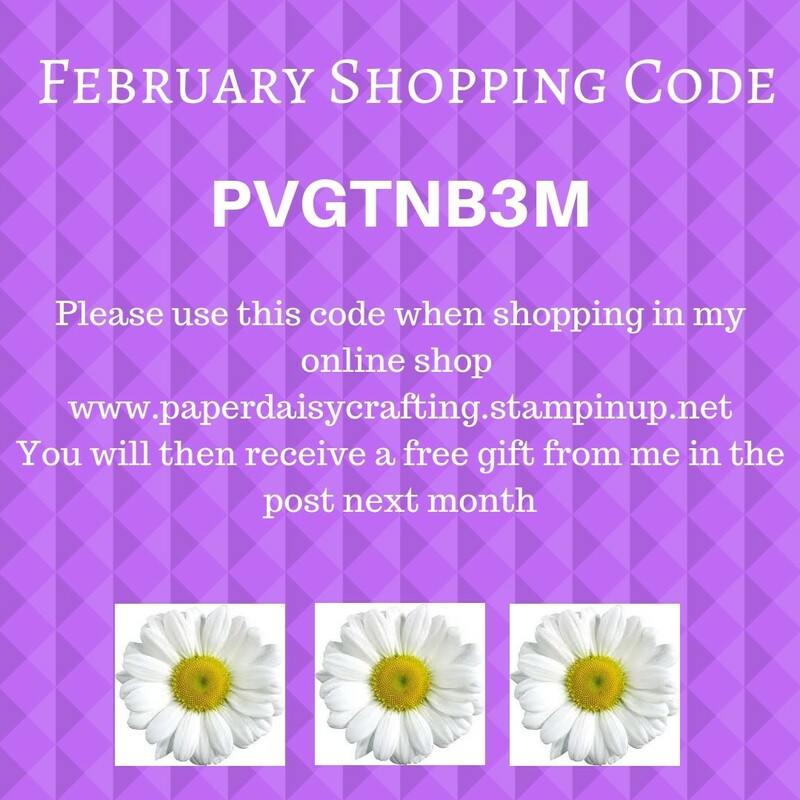 Do you remember that I posted this card a few days ago? 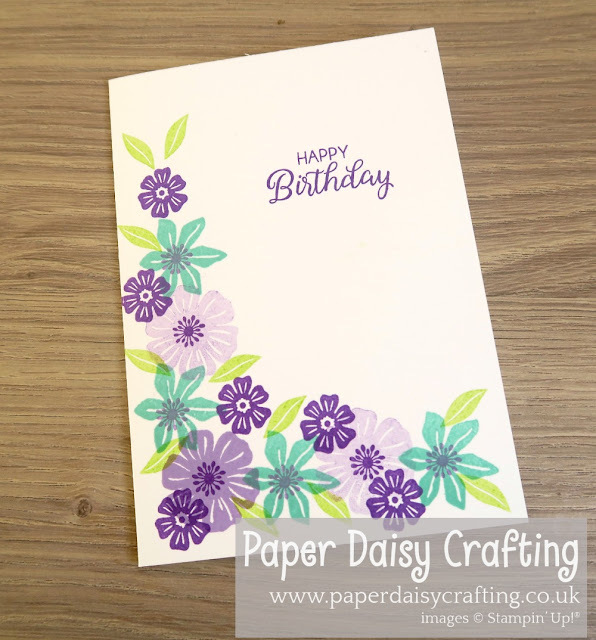 I actually made this card as a sample for a beginner card making workshop I ran a couple of weeks ago. Whilst I was at it, I made the same design in several different colourways and thought you might like to see them. For this card I used Balmy Blue, Pool Party, Pacific Point and Bermuda Bay. For the next one I kept to pretty much the same colours, just replacing the Pool Party flowers with Daffodil Yellow. I have saved the best until last. This is definitely my favourite combination of colours - Highland Heather, Gorgeous Grape, Bermuda Bay and Lemon Lime Twist. And here are all four cards together. I wonder which one is your favourite? Or do you have suggestions for even more colour combinations? When preparing for the workshop, I made several other designs using the same colours and stamp set. I'll show you those another day!